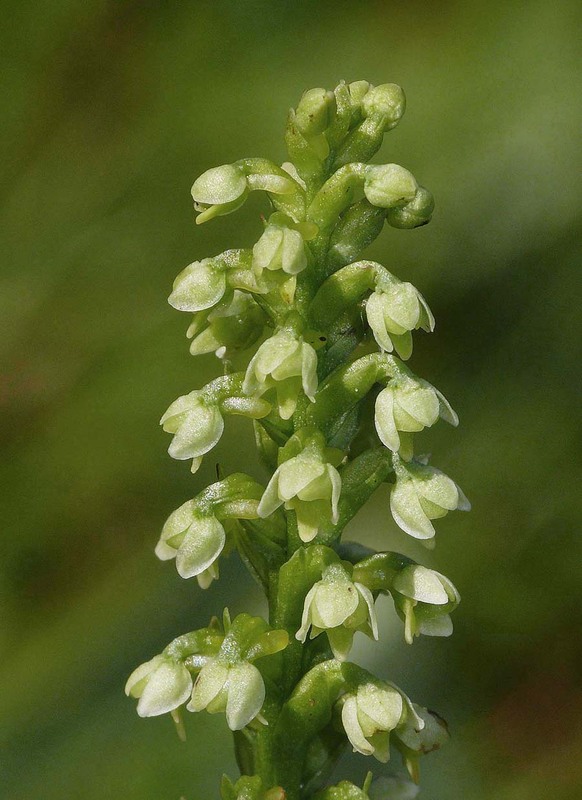 Origin: Pseudorchis means "false orchis"
In Europe this genus is represented by a single species, this being the small and unremarkable P. albida, an orchid known to many as the Small White Orchid. This genus was known in older literature as Leucorchis and the name is still employed today by some botanists who are as yet unconvinced by the latest nomenclature changes in respect of this species. Most experts accept that this genus is extremely close to Gymnadenia but not all go as far as Delforge and accept that they are in fact two groups within the same genus. The two families share many characteristics and not least reproductive mechanisms and pollinators, they do however differ in having perianth segments that project forward to form an enclosed helmet.